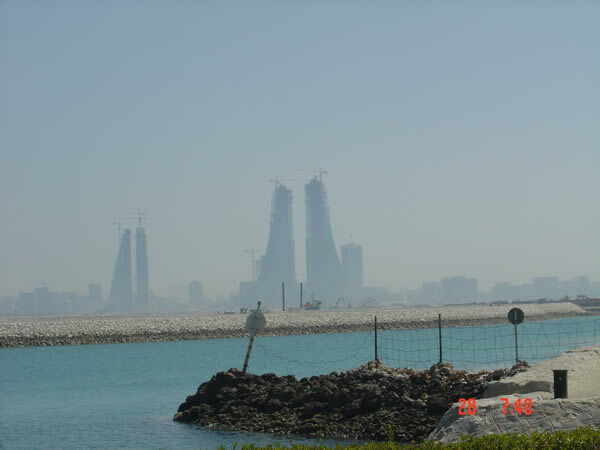 Bahrain’s Financial Harbour will feature a marina. Often eclipsed by the world spotlight on Dubai, the boating markets of Bahrain, Kuwait and Oman are performing well and investing record oil and gas revenues to provide an infrastructure for more boating growth. Maximising the potential of new boating markets and embracing change will be key to the future prosperity of the marine industry, said Paolo Vitelli, president of UCINA, in his keynote address at the Marine Equipment Trade Show (METS) in Amsterdam last year. The UAE was one the new markets flagged up by Vitelli in his address, and with good reason. His own company, Azimut Benetti, has been spectacularly successful in the Gulf market. Dubai-based Azimut distributor Art Marine is the market leader in imported larger boat sales in the UAE and the surrounding Gulf countries. While Dubai is important to the region as a boating hub, the lack of marina berths is slowing larger boat sales. The real growth in the Dubai market is a year or more away, when the vast number of residential waterside developments will be completed and additional marinas become operational. Currently more boats are being sold in the neighbouring countries — Kuwait being the strongest market, with Bahrain and Oman also developing fast. Bahrain is ideal for leisure boating. Its islands provide opportunities for exploring and the clear waters provide good fishing, waterskiing and diving. Leisure boating takes place from several locations — the Marina Club, which has berths for some 400 boats and occupies a prime location near the business district; Al-Bandar resort, which has 300 boats in the water and on its dry stack; and the adjacent Yacht Club, which takes a further 250 boats. Like other Gulf states, boating in Bahrain is set for a significant boost. There is substantial infrastructure and property development taking place, with 10 new waterside property and marina projects under way. 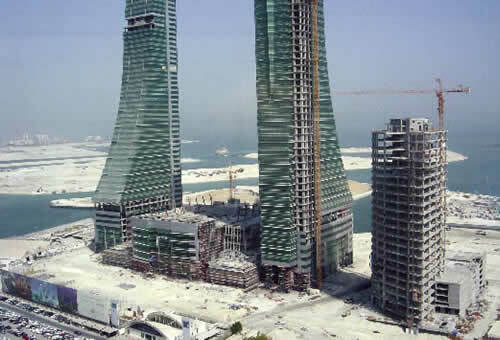 These include the Bahrain Financial Harbour complex, Bahrain Bay, Durrat Al Bahrain and the Amway Islands. All of these projects have marinas and will be completed over the next five years. According to Jenan Al-Derazil of the Ministry of Information and Tourist affairs: “Most buyers of the residential development in Bahrain will be nationals of other Gulf countries with a few Europeans looking for second homes. There will also be a substantial number of people who work in Saudi Arabia who can commute using the causeway from Bahrain.” It is clear that property purchasers in Bahrain will be different from the large number of foreigners drawn to the glitter of the Dubai residential property market. Kuwait currently has the strongest boating market in the region. 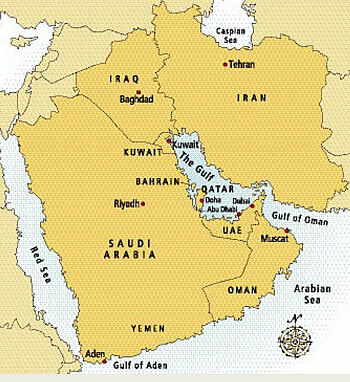 The country occupies a strategic position at the head of the Gulf, flanked on the east by the Gulf waters. Only 18,000km2 in size, Kuwait has one of the most productive oil fields in the world and consequently one of the richest economies. Oil was first discovered in the early 1930s and, by the time the first oil wells were in production in 1938, it was obvious that the country was virtually floating on oil. The resulting revenue has allowed the ruling Al Sabah family to develop an impressive infrastructure and welfare system for its population. Despite the well-known history of the Iraq invasion and the subsequent Gulf war, Kuwait still has enormous financial reserves, second only to Saudi Arabia. The Kuwaiti people are some of the most educated in the Gulf and travel widely. Bahrain is the smallest of the Gulf States and is very much allied with the sea, being composed of a collection of over 30 islands linked by bridges and causeways. Bahrain’s strategic location in the Gulf, with natural harbours, ensured from the earliest days that it quickly established itself as a main trading centre for the region. Oil was discovered in commercial quantities in 1932 and this, combined with Bahrain’s natural trading and commercial ability, ensured that the country became the most advanced in the Gulf — until the late 1980s, when it was overtaken by Dubai as the commercial hub of the region. However, Bahrain is still one of the most outward-looking and advanced countries in the region with close ties with the UK and the US. In Bahrain the population of over 700,000 includes a relatively high number of expatriates who mix easily with the Gulf Arabs. Oman is a country that contrasts strongly with Bahrain and Kuwait, having a much larger land area and a spectacular coastline with beautiful boating waters. Without a doubt, Oman offers the best leisure boating in the Middle East. Previously a difficult country to visit, the ruler, Sultan Qaboos, has relaxed the rules considerably and tourism is a developing industry and recognised as one of the main target sectors for investment and growth. However, the government has gone to considerable lengths to ensure that infrastructure and real estate developments match the natural surroundings — a lack of high-rise development is the most obvious sign to the visitor. The country does not have the levels of personal wealth seen in other GCC countries and a large part of the workforce is Omani, resulting in a smaller expatriate workforce. The growing Dubai International Boat Show in March also receives an increasing number of Bahraini customers. 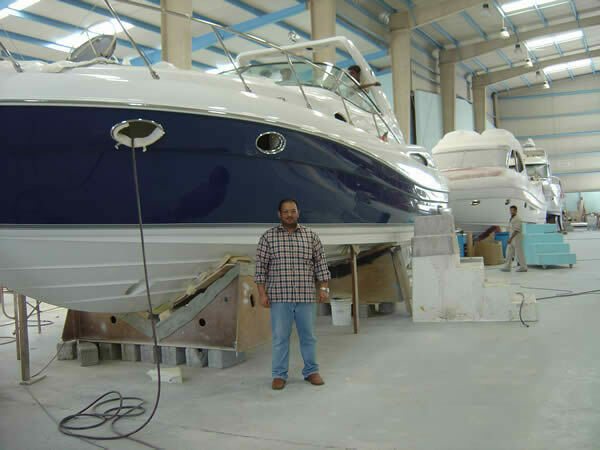 One of the main leisure marine distributors in Bahrain is Kooheji & Sons — one of the longest-established Yamaha outboard motor dealers in the world, having represented the brand for 45 years. The future for Bahrain looks positive as it moves to re-establish itself as a regional business and finance centre with numerous infrastructure and waterside property developments under way. Importantly these include a recently announced causeway link with Qatar, which will open up communications and allow access to Qatar for the Bahrain workforce. All of these factors indicate growth for the Bahraini marine market. • English is widely spoken, although efforts by foreigners to learn a few Arabic phrases are much appreciated. • Respect the local culture and Islamic religion. Information can be readily attained from guide books to the area. The Lonely Planet publication Arabian Peninsula is one excellent example and, for business and cultural considerations, Don’t they know it’s Friday by Gulf Business Books. • Airlines and hotels in the Gulf are of the highest standards. Hotel prices have doubled though in the boom times of the past two years. • Local businessmen are traders first and last. Haggling over the price and business conditions is a way of life. Enter into the spirit of it! • Personal relationships are vital and it takes time to build them with Arabs. Do not expect to parachute into the market and get an order. Be prepared for the long haul. • Distribution contracts need to be considered carefully as they will be conducted under local Shariah law and registered with the Chamber of Commerce. Performance target clauses may not be valid as agency contracts can usually only be terminated with the agreement of both parties. • Good agents and distributors are in short supply in the marine industry and good manufacturer support needs to be budgeted for. • Aftersales service and product support is a most important aspect to get right. A good reputation will do more for your sales than any amount of promotion.